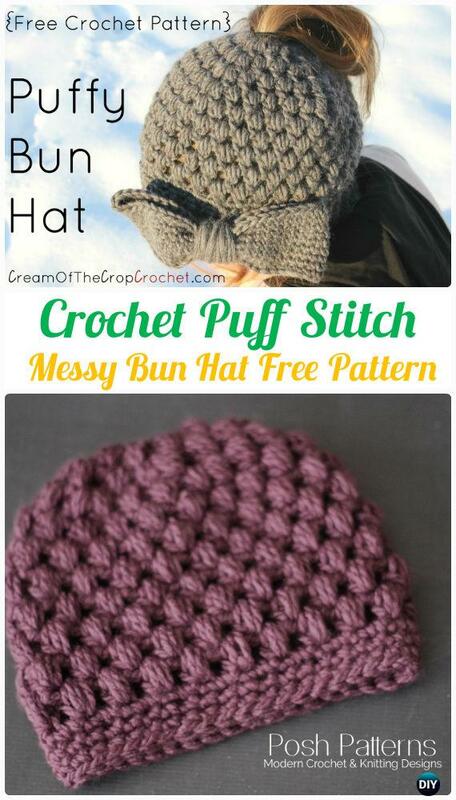 A Hot Collection of Crochet Ponytail Messy Bun Hat Free Patterns. 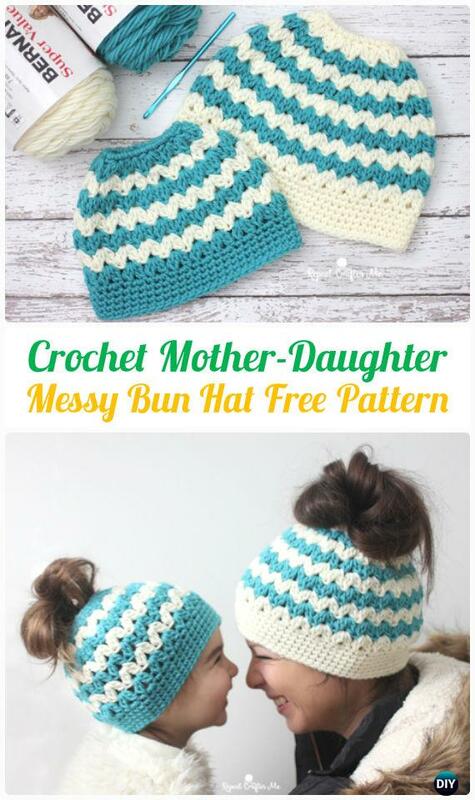 With the growing hot trend of messy bun hat last year, our Crochet Channel is also In and compiled the following crochet ponytail messy bun hat free patterns, and several inspirational bun hat patterns for our community. You know what? we don’t know who started this trend but we totally love the idea on crochet hats to keep warm and fancy in cold weather, but still keep our ponytails pop out while jogging outside. While we had meeting with our crochet community, our ladies are just too busy with these hats for their family, including the pussies!! There are so many crochet messy bun hat patterns circulating over all social medias, and we just collect some picks out of the tree with different stitches. And if you know all the stitches, you can also work on messy bun hats with tips below. Scroll down to see what we have included for our community and for you all. Keep your hooks flying by adjusting the size smaller or larger, shorter or longer. 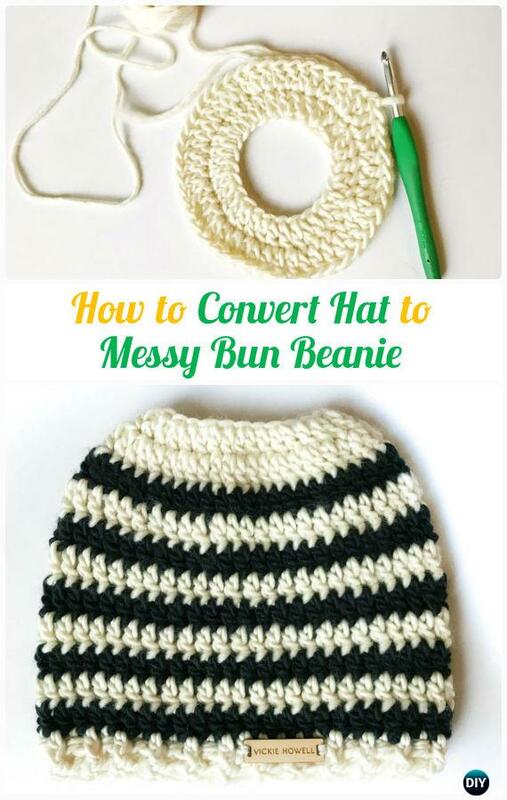 First of all, as many crocheters may have been seasoned in crocheting hats, we will start from turning any hat patterns into messy bun hat, as Ms Vickie Howell shares us the tips on how. 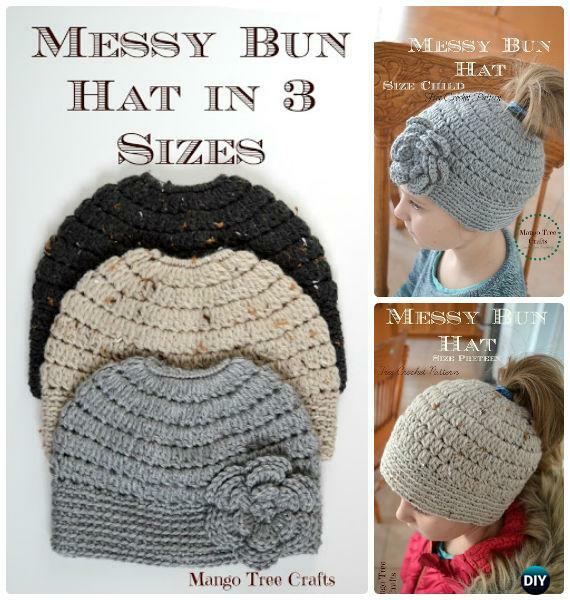 Again Lilia from Mango tree crafts shows her size differing in 3 sizes, kids, preteen and adult as a good guide as we try to crochet our bun hats directly.